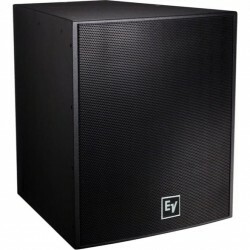 Loa Electro-Voice EVH-1152D/43-PIB là Loa toàn dải của Thương hiệu Eletro Voice thuộc dòng EVH Series, được nhập khẩu và phân phối chính hãng bởi Thiết Bị Âm Thanh Sân Khấu tại Việt Nam. The EVH-1152D/43 utilizes the DH7N, a high-output 3" titanium compression driver, coupled to a Constant Directivity 40 x 30 waveguide. 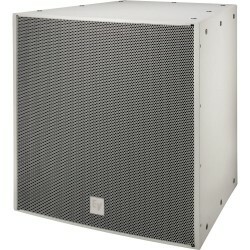 The SMX2151 15" woofer was developed using FEA optimization for motor, suspension, and electrical design to ensure very low distortion, high efficiency, and maximum intelligibility at high SPL. The crossover uses steep, 24-dB-per-octave slopes with equalization for very smooth response in the vocal range, linear off-axis response, and a protection circuit for long-term reliability. This combination of technologies results in a smooth response to 20 kHz and excellent pattern control down to 500 Hz.